VIZ Media announced on August 11 via Twitter that they have acquired the license to broadcast Mr. Osomatsu in North America. With season two debuting and set for simulcast by VIZ this fall, the series will once again follow the misadventures of the infamous gang of identical sextuplets. Mr. Osomatsu is a comedic anime series based on the 1962 manga Osomatsu-Kun by Fujio Akatsuka. 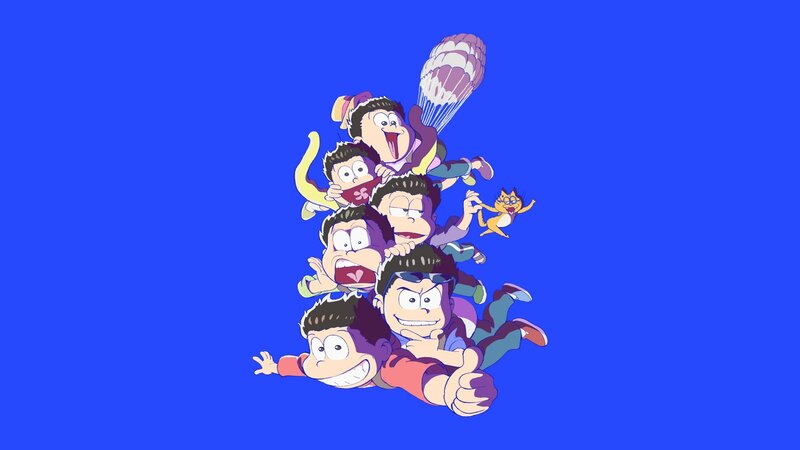 The second season of the show is expected to pick up where the manga left off and follow the Matsuno sextuplets as freshly minted adults shortly after their eighteenth birthday, causing havoc and having fun while parodying television favourites of the past few years. The show is currently in its third generation, the two previous adaptations of the manga having been released in 1966 and 1988 and running for 56 and 86 episodes respectively. This version is geared toward an older audience and bases itself in more adult-themed parody humor as it is directed by Yôichi Fujita, the man responsible for the hit anime series Gintama. Season two will hit your home television in October, but while you wait you can watch the first season of Mr. Osomatsu here on Japanese Netflix or Crunchyroll.